Dr. Gordon Lewis is known as an authority on plastic surgery and one of the best plastic surgeons serving the Richmond, VA, area. Because of that, media outlets seek his opinion on plastic surgery trends and innovations. Dr. Lewis has earned accolades not only for his surgical skill, but also his caring and compassionate demeanor. In Richmond, there are several plastic surgeons to choose from. You can learn more about Dr. Lewis and his practice by requesting a consultation using the online form, or call our office at (804) 267-6009 to schedule an appointment. 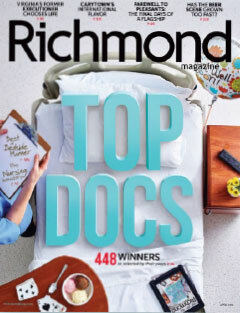 Dr. Lewis is a fixture in the Richmond Magazine’s annual Top Docs issue. He was one of the 7 best cosmetic plastic surgeons featured in the 2017 issue, as chosen by other doctors and nurse practitioners. This is the 3rd year in a row that Dr. Lewis earned the coveted award. Top Docs are highlighted based on their commitment to clinical excellence and high standard for patient care. Our Health, an online magazine focused on the Richmond area, seeks to highlight the combination of medical expertise and compassionate care with its annual Best Bedside Manner awards. Community members voted for medical providers based on their kindness, empathy, and attentiveness. Dr. Lewis earned a spot in the Top 3 among plastic surgeons. Dr. Lewis and his staff make it a priority to provide a compassionate and welcoming atmosphere for patients, who are often nervous about electing to undergo an aesthetic procedure. Many of our patients say they feel “at home” at our office and appreciate the time Dr. Lewis spends with them. That’s why he’s been honored 2 consecutive years in Our Health magazine’s annual Best Bedside Manner issue. In a feature that aired on the local ABC affiliate, Dr. Lewis explains that Mommy Makeover procedures are an increasingly popular path for women who want to regain confidence in their bodies after having children. He describes the types of procedures that are typically combined in a Mommy Makeover, including breast enhancement , tummy tuck surgery, and liposuction . Breast augmentation is annually one of the top cosmetic surgery procedures performed in the U.S. and Dr. Lewis appeared on the eHealth Radio network to discuss the surgery. As a breast augmentation specialist, Dr. Lewis talks about the various options available to patients, such as the size and type of breast implants, and how he customizes the procedure to match a woman’s aesthetic goals.